The Movie and Television Review and Classification Board (MTRCB) releases the new infomercial for Film Ratings. It gives understanding on what film would be appropriate for your age. The new MTRCB's infomercial has a 2 minutes and 24 seconds of video length. It gives clear information and meaning of every ratings. And for MTRCB ongoing campaign for "intelligent viewership" or "para sa mas matalinong panonood ng pamilya ni Juan at Juana." 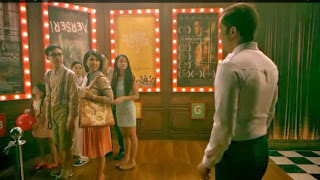 Please watch here the new informercial of MTRCB for Film Ratings. For the meantime, please bookmark this page now or visit this site more often for you to be updated. You may also share this post to your friends so they may know about MTRCB new infomercial for Film Ratings. Comments or suggestions about "MTRCB new infomercial for Film Ratings released" is important to us, you may share it by using the comment box below.